When it comes to sports journalism, particularly in broadcasting, there is no denying the fact that much like sports itself, it is a world of men. The sector is highly populated by men, and while there might be different reasons responsible for this, it goes without saying – this is something that needs to change and in one of the ways that can happen is by embracing women who desire to work in the profession, much like YES Network has done with Sarah Kustok. 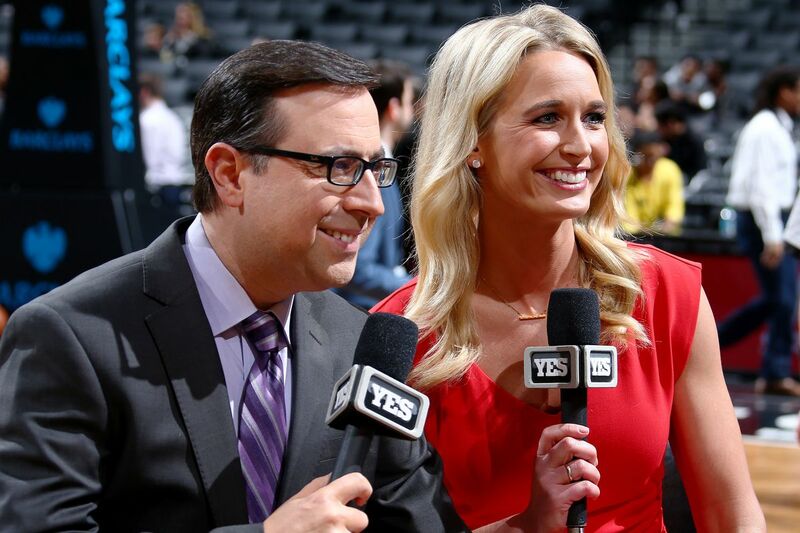 In Sarah Kustok, YES Network made her the first NBA solo female analyst. It was the culmination of a career that began right after college as an analyst and sideline reporter for ESPN and Fox Sports. 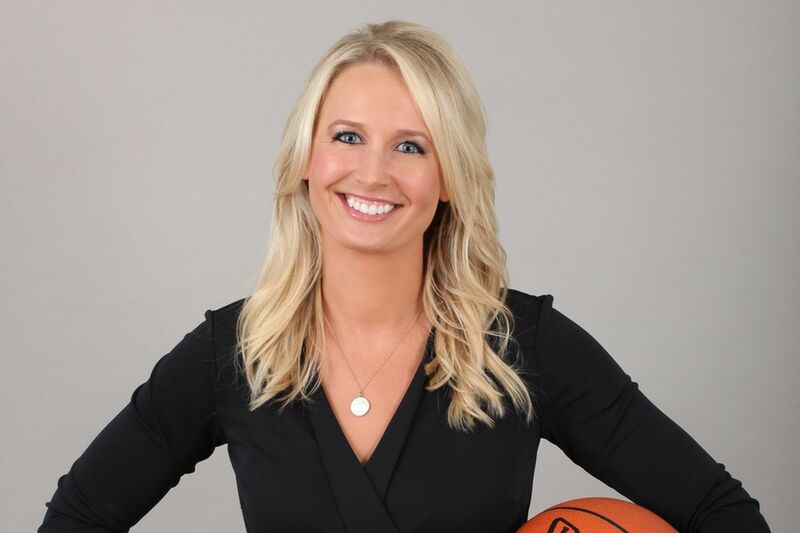 There is plenty to learn about Sarah Kustok and you can learn all of it by reading below. Sarah Kustok was born on the 17th of December, 1981 as the daughter of Allan Kustok and Anita Kustok. She hit the limelight for the first time in a major capacity in 2010 when her father was reported to have murdered her mother while she slept in their home. Her subsequent testimony for her father’s innocence did not prevent him from being found guilty and sent to 60 years in prison. Before tragedy struck in the Kustok family, she was raised in Orland Park where she grew up with a massive love for sports. During her high school years, she played basketball and then volleyball before moving to college at DePaul University where she continued to play in the women’s basketball team while she simultaneously earned a degree in Communications and Media Studies which she graduated with in 2004. In a way, Sarah Kustok has always grown up in a sports family. Her only sibling, her older brother Zak Kustok is also a football player who played the sport up to college level for the Northwestern Wildcats football team. Following the completion of her college career as a basketball player and her graduation with a degree, she became a coach for the DePaul University women’s basketball team, where she worked from 2005 to 2006 before she joined ESPN as a sports broadcaster. When it comes to sports broadcasting in America, a couple of the big players are ESPN and Fox Sports and Sarah Kustok can boldly say she has worked for both big entities in one capacity or the other as a sports journalist. Following her graduation from college, she began her career with ESPN, working as an analyst and a sideline reporter for the company and then for Fox Sports. She was tasked with the coverage of high school football, college football, and then college basketball, covering both the men’s game and the women’s game. After some time with the big two, she joined Comcast SportsNet Chicago and worked as a reporter and in an elevated position as an anchor, for a total of three years. During her time with Comcast, she worked in dedicated positions for teams like the Chicago Bulls, Blackhawks, Cubs, White Sox, and White Fire, giving her an in-depth experience of Chicago Sports. Sarah Kustok is also known to have worked for Versus, a channel under the NBC Sports Network. In another capacity, she has worked as a sideline reporter for the Brooklyn Nets and was a notable contributor to the Nets Magazine. In 2017, Sarah Kustok achieved an important milestone, both for herself and women in her profession. She became the first female to ever be a solo analyst in the NBA. She achieved this under the banner of the YES Network, an exclusive network for the New York Yankees which has diversified its coverage to various other sports. Under the network, Sarah Kustok has won a New York Emmy for Best Live Sports Series. Is She Married? Who is the Husband? One of the reasons why women are not deeply involved in sports broadcasting is the jet setting life that it requires. With games played every day all over the country, devoting enough attention to a romantic partner and potential children is a challenge, and women still considered the primary caregivers in the home, it goes without saying the demands of the profession is extra challenging for them. It would possibly explain why Sarah Kustok is still a single woman, who is neither married nor involved in a relationship. She is, at this moment in time, focusing on her burgeoning career where she is currently blazing the trail.